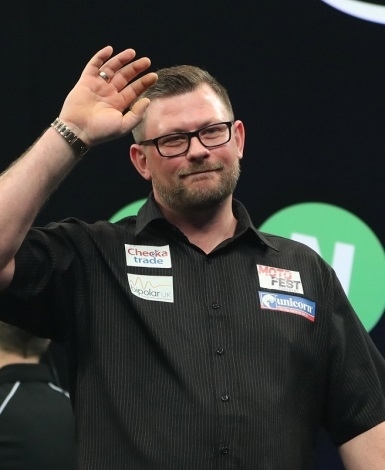 It wasn’t to be for James Wade! Peter Wright won Players Championship 17 in Barnsley on Tuesday. Wade lost in the semi-finals after hitting a brilliant 9 darter with his new Unicorn Noir darts. It was the second 9 darter of the day after Dutchman Vincent van der Voort had claimed one earlier. Wade’s perfect leg came in an all Unicorn quarter-final where he beat Michael Smith 6-3 with a 105 average. But he lost his semi-final by the same score against Daryl Gurney, who was then beaten 6-2 by Wright in the final. Gary Anderson was edged out 6-5 by great mate Smith in one of the best matches of the day. Both averaged 107 and both had chances to win in their last 16 clash. Team Unicorn Belgian ace Kim Huybrechts also reached the quarter-Finals where he went down in form German youngster Martin Schindler 6-0. It was Schindler’s first Pro Tour semi-final. He lost to Wright 6-4. Joe Cullen made it through to the last 16 before losing to Simon Whitlock.